Shopbop + Theyskens Theory giveaway!!! Hi guys! I've teamed up with SHOPBOP to give you all a chance to win $100 gift card! And I know you all know that SHOPBOP is a shopping haven and heaven for all you fashionistas out there. Lots of amazing items to buy! I took the liberty in choosing what I would most probably buy if I won the giftcard (dream on, me haha). 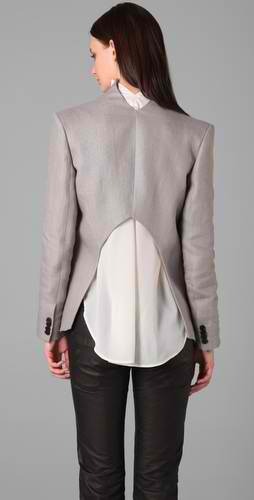 i could wear this everyday:) Theyskens Theory Bama blouse. Joining is as easy as 1-2-3. 1) Just follow SHOPBOP on twitter. 2) Leave a comment below: NAME, EMAIL and TWITTER username. That's it!!! Winner would be announced on May 30. Open to everyone including international readers (except to those living in Pennyslvania--sorry guys). Wheee I hope I win! 1) Followed SHOPBOP on twitter. I am already following Shopbop on Twitter! Great giveaway! 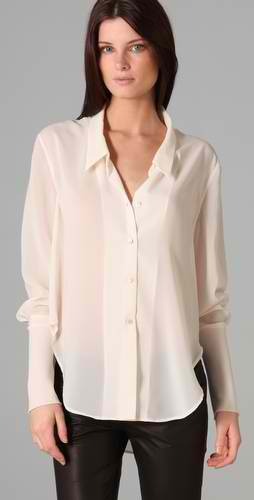 I'm following @shopbop on Twitter. I'm @barbbarbbarb! wow,joining too it's very simple giveaway. Followed Shopbop already on twitter. Ooh I'd love to win! I follow Shopbop! I follow SHOPBOP on Twitter as @calidreamin87. i want some of those hippie bracelets... buy me some in brown, black, and gray!! !